"One of the top highlights of our day"
"Truly amazing and very impressive"
"The extra special touch we wanted"
Martin Waring is one of the best close up and table magicians in York. He covers York, Yorkshire and the North. If you’re looking for an amazing magician then contact Martin today. He will be happy to discuss options for your wedding entertainment, party, or other event. Close up magic is a wonderful ice breaker and talking point. It helps to ensure that your guests are entertained and that your event is memorable. Many times guests get to take home souvenirs of the magic that they treasure for years. Often the feedback from guests is that they are still talking about your event for months after. 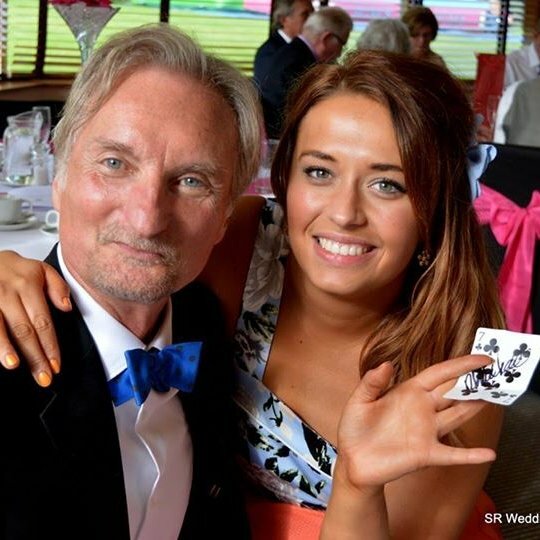 Book Martin Waring, close up and table magician as your wedding magician in York, Yorkshire or the North. Delight your guests with amazing, fun and engaging entertainment. Magic is the perfect entertainment for corporate functions and it will make your event highly memorable for your guests. You can hire Martin as your corporate magician in York and the North. 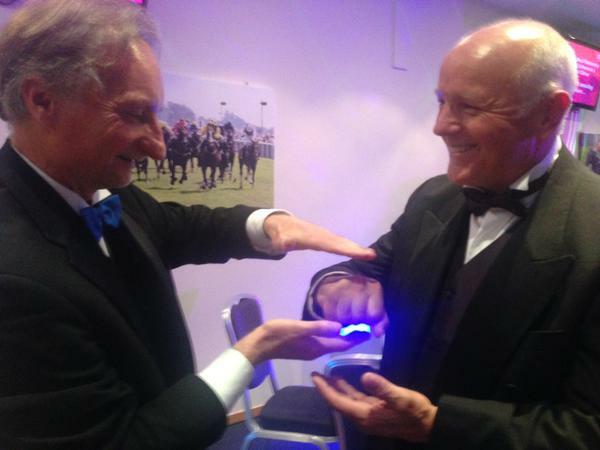 His interactive close up magic is ideal as an ice breaker for a company party. He will entertain your guests, bringing delight and fun to your occasion. Thinking about organising a Trade Show? Martin's magic can be the perfect addition that will leave your guests thrilled and excited about your event. Read More. Whether you are planning a Christmas Party, a Birthday Party or a special celebration get your party started by hiring Martin as your party magician? 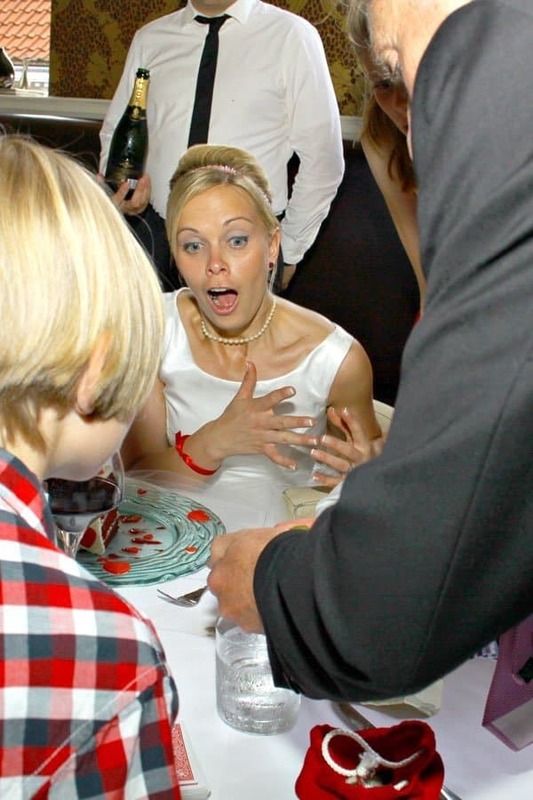 As both close up magician and table magician Martin will amaze your guests with his strolling close up magic, often using items he borrows from your guests. Your guests will be talking about what they have experienced for months to come. The emphasis is always on providing fun and enjoyment for your guests. 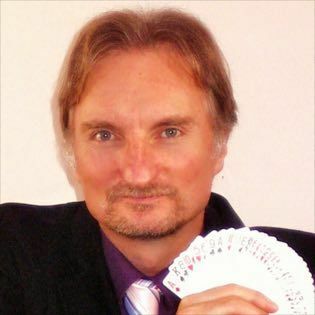 Martin is available as a party magician in Yorkshire and across the North. Read More. How much do you charge for close up magic? Prices depend on several factors such as how many people you have at your party, location etc. I will quote you a fixed price for your event. I do not charge by the hour - I like to keep things simple. Is your magic suitable for children? My magical entertainment is primarily aimed at entertaining the adults but I have puzzles and tricks for young ones too and even very young children may appreciate some of the effects. What sort of tricks do you do in a walk around and table setting? Mainly effects that I can carry in my pockets. They usually involve things like coins, playing cards, cutlery, phones, dice, cords and laces - that sort of thing. I especially like to perform effects with items that end up in unusual places or mind reading type effects that appear impossible. Do you do anything dangerous? No - I don't use fire or anything hazardous in my magical performance. I will mix and mingle with your guests in a party setting, or as your guests enjoy their pre-dinner drinks. The effects I do are close-up and personal, often happening in the hands of the spectator. If there are children at your event the magic usually draws them in like a magnet. I have fun things to hand out which they can take away and try. Think of this as an ice-breaker session. By the time your guests sit down to eat, most of them will be aware of who I am and be ready for some serious fun! I will perform whilst your guests enjoy dinner at each table. The magic is close up and the effects are different to the mix and mingle session. I'm aiming to build the excitement levels with increasing high impact effects. The best effects are of course reserved for the top table. I can cater for a small intimate group at your home. Or I can perform to 100+ people in a banquet setting over the course of several hours. My aim is to ensure that you and your guests have fun and are entertained.